We are in the real estate market for over 5 years, majorly working the District of Lisbon, namely the Municipalities of Lisbon, Oeiras, Cascais, Amadora and Sintra. Our main concern are the PEOPLE, not the "houses", because what we aspire is to create solid and lasting relations, not just "sell a house". We work hard every day, to be better, to have excellent banking partners, so that we can better assist our clients in getting their credit. We invest in the complete training of our commercials and store managers, with the ultimate aim of providing the best and most professional service to our customers. 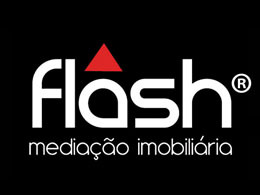 To buy, sell or rent a house you can count with the help of FLASH Real Estate. FLASH - where everything happens faster!